On our continuous search for some of the best jackets that you can find online, we stumbled upon Killtec, a German brand that we have not really looked at before. Killtec’s history can be traced back 37 years ago, in 1981, when Günther Killer first began to work on creating sports shoes and then later expanded his field of work to outdoor clothing as well. 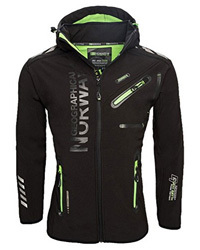 Due to his expertise and willingness to satisfy the customer, the brand quickly grew in reputation and became a prominent name in the market of outdoor sportive wear. 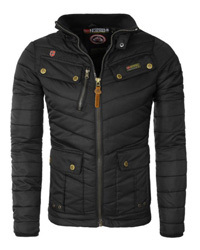 We have compiled a selection of 7 jackets for today, with options for both men and women, of course. Some of them are sports jackets, which are designed for a variety of outdoor activities, as we will see on each jacket separately. 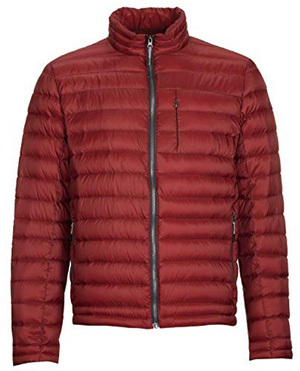 We are beginning with the first jacket for men, the Chiran Ski jacket, a design made of 100% Polyester. 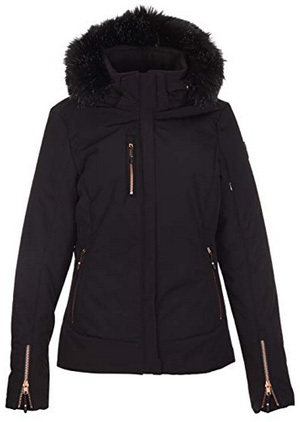 This jacket comes with a high collar, which will keep the neck protected and also help to prevent cold wind, rain and snow from getting through. There is a removable hood, which can be adjusted with drawstrings on the sides for a better fit. The sleeve cuffs are made of Lycra and there is a storm flap covering the main zipper, in order to protect it from the elements. It comes with two side pockets and one on the left side of the chest, all of which with zip closure. 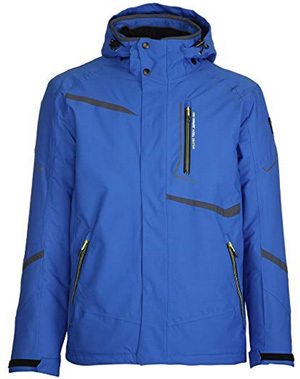 As the name indicates, this is a ski jacket, suitable for cold temperatures and able to withstand snow adequately for some time, as it is highly water-resistant, but not fully waterproof. This design is also quite breathable, just as a sports jacket should be. There are three colors available: Red, Charcoal and Blue. 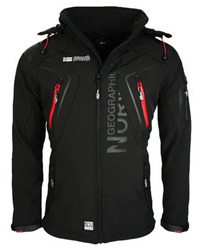 The next design is the Mark 2 1/2 Layer jacket. Made of 100% Polyester, this jacket comes with a shiny exterior and a waterproof shell, with a water column rating of 10.000 mm. To further protect the jacket from rain and snow, all seams are taped. 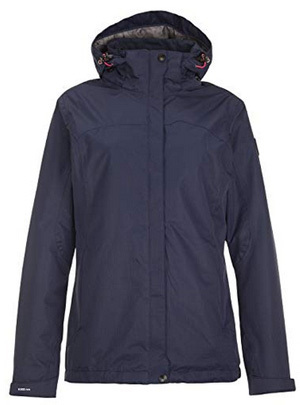 This is a very breathable design, with a rating of 10.000 g/m2/24h and also comes with a hooded collar, which can be adjusted on the sides with draw cords. There are four outer pockets on this design, two are placed on the sides, lined for warming up the hands, and two on both sides of the chest. The sleeve cuffs are also adjustable with Velcro fasteners. 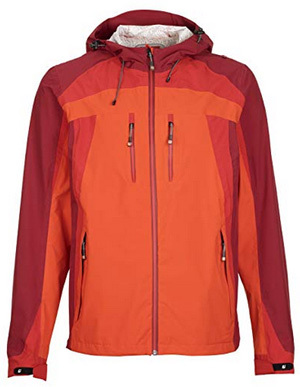 This is a versatile jacket as it can be worn for a variety of outdoor sports, from jogging to hiking and even skiing or snowboarding. It is available in two colors: Dark orange and Green. Tibion is a 100% Polyester jacket, made of micro fleece, which is anti-pilling and able to wick moisture away, leaving you dry and comfortable. It comes with a high collar, which protects the neck from the elements, and an attached hood, which rolls into the collar and is secured in place with a zipper. The shell is water-resistant, with a 8.000 mm water column, which makes it suitable to wear in unstable weather. This jacket can be used in different sports, and also, because the design is made to look casual, it can be worn as a daily jacket, too. There are two side pockets with zipper closures, lined to warm up the hands, and a slanted pocket on the left side of the chest. There is one color option called Charcoal. The next jacket for men is called Regor, and it is made of 100% Nylon on the outside and inside, with 90% down insulation and 10% feathers. The down is kept in place and properly distributed by the horizontal quilting. 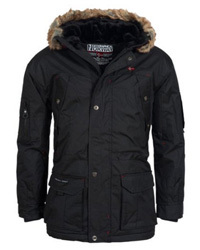 This is a hoodless jacket, with a medium stand-up collar, which is lightly padded. The sleeve cuffs are standard, and there are two outer pockets on the sides and one on the left side of the chest. The design is intended for daily wear, as it provides a warm and protective layer when the temperatures drop. The shell is also water-resistant, suitable for unstable weather but preferably should be worn in dry weather. This jacket comes in the colors: Black and Wine red. Moving on to women’s jackets, the first design is the Elanora ski jacket. This is a functional design, which is not solely wearable for skiing but other sports too, as the cut is made for comfortable movement. It comes with a removable hood and a faux fur trim lining the hood, which is intended as a snow catcher, in order to keep the face protected. There are three outer pockets on the outside of the body. The sleeve cuffs come with zippers for adjustment. The shell is water-repellent, with a water column of 8.000 mm and breathable. It is available in the color Black. Inkele is also a functional jacket, which can be worn in a variety of outdoor activities as it is very comfortable to move around in. The material is 100% Polyester and with fully welded seams, which, combined with the 8.000 mm water column, makes this jacket waterproof. 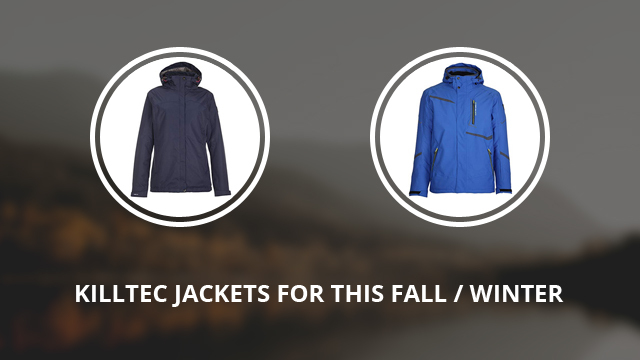 It is also breathable and wind-resistant. The design is very simplistic and it is suitable for all body types. The sleeve cuffs are adjustable and the main zipper is covered by a storm flap. The colors available include: Navy, Peppermint, Plum, Light petrol, Fuchsia, Hellkoralle, White, Rose neon, Raspberry, Black and Petrol. 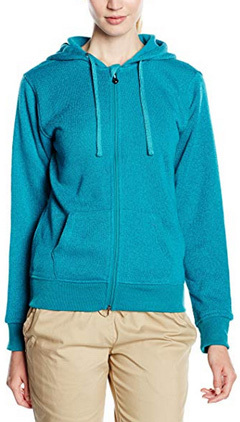 The last design in this selection is Rikke, a 100% Polyester fleece jacket. The micro fleece is anti-pilling, so it will retain its shape and look for a long time. There is a hooded collar and elasticized ribbed cuffs and hem. A split kangaroo pocket is placed on the lower center of the jacket and there is also chin guard on the collar, which prevents the main zipper from chafing the neck. 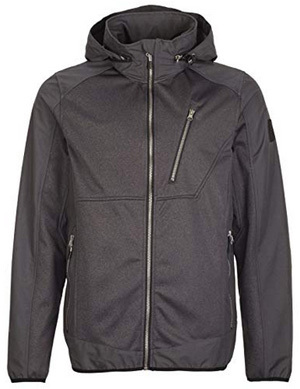 This jacket can be worn as a layer under a heavier hardshell, and it is more suitable for dry, cold weather. There are two colors to choose from: Dark aqua and Neon coral. Previous Article← Columbia Omni-Tech vs Gore-Tex Technology: Which One Is Better?